Click here to download the tournament flyer. Sign up online using the OmniPong system. Fill out the tournament flyer sign up form and mail it in with a check or money order. When: August 26th, 2018 from 8:00 am – 8:00 pm. 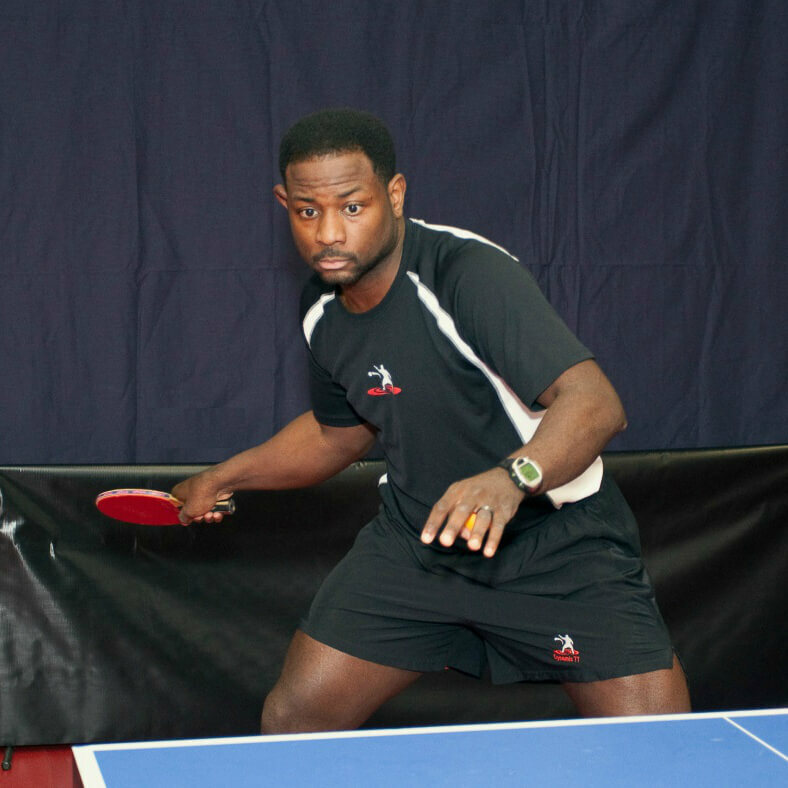 Kansas City Table Tennis (KCTT), Tony Aguirre Center, and the new West Side Table Tennis Club are sponsoring the first annual ping pong / table tennis tourney. All proceeds go toward startup costs for West Side Table Tennis Club. Costs include: 5 more TT tables, tinting 20 gym windows, TT barriers, and paying for youth/senior programming for the West Side community residents. tournament is for you! Come join us and see the new West Side Table Tennis Club. Matches will be best 3 of 5 games to 11 points. Special Guest Coach Brian Pace! Make sure to catch Brian Pace while he’s in town! Sign up for the tournament prep clinic the night before the tournament begins, or choose from a selection of video analysis sessions where Brian will record your strokes and provide a break down (after the tournament) on video about specifics you should focus on to improve your game.